Album Review: Lincoln Barr, "Trembling Frames"
This is an instant “wow”. I’ve known Lincoln Barr’s music for about five years now, since I first heard his wonderful Washingon-state based band Red Jacket Mine. A great, clever and skilled power-pop unit that knows how to do that “pop thing” I love so much. But Lincoln’s stepping out for the first time with a solo effort and I am floored. Seriously. Which I think is the operative word here – “serious”. This is not a lightweight or poppy affair. This is a serious, at moments ponderous, somewhat melancholic and highly sophisticated work that roots itself in a cafe jazz vibe. It’s as if The Style Council actually did a consistent album’s worth of jazz without veering off into painful pretentiousness. If anything, Trembling Frames, as a whole, is one of those “oh, let me up” moments. And the players that aided and abetted Mr. Barr – including Calexico’s drummer, John Convertino – are more than up to the task to keep it low but make it feel. “Admit You’re A Monster” is one of those “the title gives the theme away” songs – confrontational but calm and poised; sounding like a very pissed-off but still maintaining his cool Chet Baker, this track sets the table as “How To Escape” asks the question of freeing one’s self from a bad emotional situation. Which, in many ways is the theme to this album; it’s not a “happy” record; it’s rooted in dark, and at times, painful memories. “Fond Of Surprises” is (I think) the album’s standout with its vibe/guitar/brushed drums and bass arrangement; “Desperate Tormentors” is upbeat, musically, with its danceable feel, which is ironic with such a title and lyrical content – subtle but deftly scathing. Drawing from personal experience is always a risky proposition when writing songs and offering them up to the world; you expose yourself in ways that can always be easily misconstrued. But here, Lincoln Barr has been willing to sacrifice himself to that degree and in the process, offers up a stunning piece of work that’s worthy this early in the year to make a lot of “best of” lists. It’s one of those albums that need to be heard and experienced and shared. Because by being so personal, he’s given a universal message that a lot of people can embrace and take to their own hearts, which is the ultimate trip for any musician and his audience. 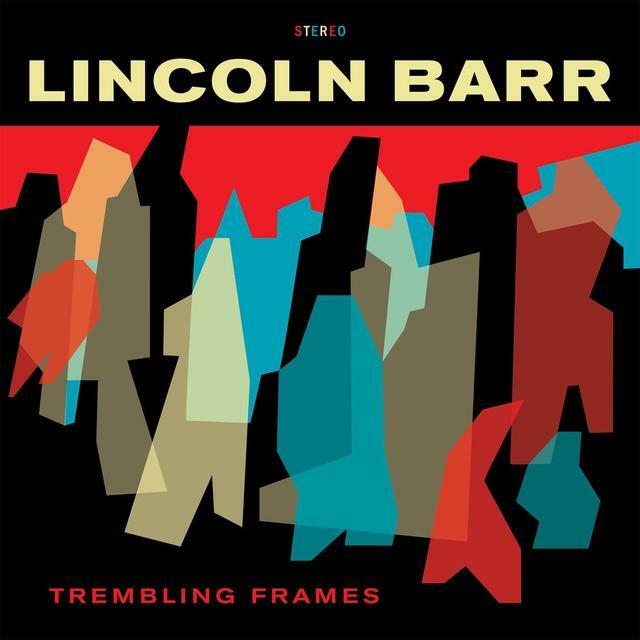 And with Trembling Frames, Lincoln Barr will have hopefully gained an even greater audience.